The badge of the RAF against a background of their stable belt colours. The image is printed on both sides of the mug. We will always help you to have a 100% positive happy buying experience. The crest of Bomber Command. We will always help you to have a 100% positive happy buying experience. If you would like your Mug Customised with your own personal text . The image is of the highest quality sublimated onto the mug. The QPD patch of an RAF Police Dog handler. The RAF Police crest is printed on the other side, but let us know if you want the QPD on both sides. An image is printed on both sides of the mug. We will always help you to have a 100% positive happy buying experience. The crest of the RAF Police. The image is printed on both sides of the mug. We will always help you to have a 100% positive happy buying experience. The crest of the RAF. The image is printed on both sides of the mug. We will always help you to have a 100% positive happy buying experience. 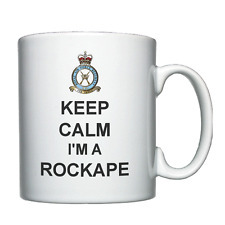 The badge of the Royal Air Force with the popular phrase below. We will always help you to have a 100% positive happy buying experience. The cap/beret badge of NCOs and Junior Ranks of the Royal Air Force. We will always help you to have a 100% positive happy buying experience. The badge of an officer of the RAF against a background of their stable belt colours. The image is printed on both sides of the mug. We will always help you to have a 100% positive happy buying experience. The crest of the RAF Logistics Branch. The image is printed on both sides of the mug. 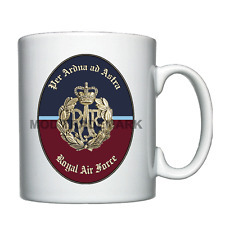 An crest is printed on both sides of the mug. 1, 2, 3, 15, 16, 20, 26, 27, 34, 37, 48, 51, 58, 63, 66, 603, 2503, 2609, 2620, 2622, 2624, 2625, QCS, Surface to Air Weapons OCU. The crest of the RAF Engineer Branch. The image is printed on both sides of the mug. We will always help you to have a 100% positive happy buying experience. This vase makes an ideal prize or award. This is a lovely set and would be treasured for years and years, a truly fantastic gift. The Eagle and Crown of the RAF. The image is printed on both sides of the mug. We will always help you to have a 100% positive happy buying experience. made with love by. 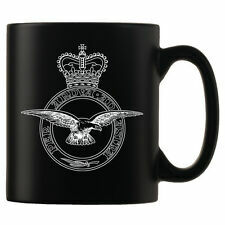 Royal Air Force 90 Glorious Years Commemorative MUG 1918 - 2008 RARE / UNUSUAL DESIGN in excellent condition. 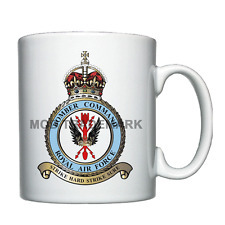 ROYAL AIR FORCE RANKS AND INSIGNIA - MUG. 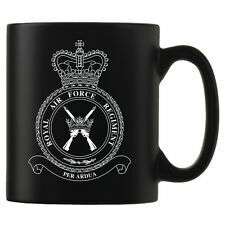 ALSO AVAILABLE ROYAL NAVY, BRITISH ARMY, ROYAL AIR FORCE. We only use the highest quality Orca coated finish ceramic mugs (11 oz) - dishwasher & microwave safe.